Amazon has Magformers Building Kit, Paw Patrol Colors for $18.29 (Reg $50). You can get free shipping on orders over $25. 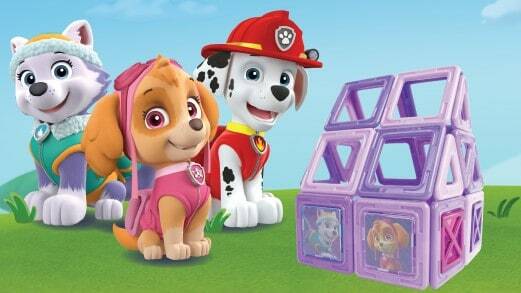 Packaged in Paw Patrol colors, the Skye Adventure Set contains 18 magnetic squares. Match colors, shapes and characters to 1:1 ratio play mats and pull up your 2D nets into 3D structures! Perfect for STEM education!